Don Norman considers himself an applied cognitive scientist. He received a B.S. degree from MIT and an MS degree from the University of Pennsylvania, both in Electrical Engineering. His doctorate, from the University of Pennsylvania, is in Psychology. He was one of the first graduates of Penn’s newly created Mathematical Psychology group and his graduate advisor was Duncan Luce. He has two honorary degrees: a doctorate in Industrial Design and Engineering from the Delft University of Technology (the Netherlands) and the S. V. della laurea ad honorem from the University of Padua (Italy). He lives two lives: theory and applications. As a cognitive scientist, he studies, teaches, and writes about the relationship between technology and people. In his applied life, he helps companies make products that appeal to the emotions as well as to reason. Following a Harvard University faculty position, he spent 29 years at the University of California, San Diego in the departments of Psychology and Cognitive Science, for which he served as chair and founding chair, respectively. He is now Professor Emeritus in both departments, as well as Professor of Computer Science, Psychology, and Cognitive Science at Northwestern University. He has been a Fellow at the Center for Advanced Studies in the Behavioral Sciences (Stanford). In-between UCSD and Northwestern he was vice-president of Advanced Technology at Apple, an executive at HP, President of an educational, distance-learning startup, and co-founder of a consulting company (a position that he still holds). He has published extensively in Cognitive Psychology. 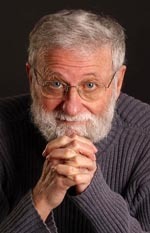 The co-edited and co-authored books Explorations in Cognition and Human Information Processing were highly influential, the first a collection of research papers from the laboratory he managed with David Rumelhart, the second a popular textbook that helped introduce information processing to psychology, an area that over time became Cognitive Psychology and then Cognitive Science. He was one of the founders of the Cognitive Science Society and has been chair of the society and editor of its journal, Cognitive Science. In 2006, Norman received the Benjamin Franklin Medal in Computer & Cognitive Science from the Franklin Institute (Philadelphia). Norman brings a unique mix of the social sciences and engineering to bear on everyday products. Although he is a strong advocate of human-centered design and simplicity and perhaps best known for his book, The Design of Everyday Things, he now wants to ensure that products appeal to the emotions as well as to reason, a point he argued for in his book Emotional Design: Why we love (or hate) everyday things. He is the author or co-author of sixteen books, his most recent being The Design of Future Things. In 2002, he received the “Lifetime Achievement Award” from the Special Interest Group on Computer-Human Interaction, the professional organization for Computer-Human Interaction. In 2005, he received the Franklin V. Taylor Award for “outstanding contribution to the field of Applied Experimental and Engineering Psychology” from the American Psychological Association. He is a Fellow of the American Psychological Association, the Association for Psychological Science, the Human Factors and Ergonomics Society, the Association for Computing Machinery, and the American Association for the Advancement of Science. He is cofounder of the Nielsen Norman Group, an executive consulting firm that helps companies produce human-centered products and services. Norman serves as advisor and board member to numerous companies and non-profit organizations in the area of policy and education. Among others, he serves on the editorial advisory board of Encyclopedia Britannica and on the external advisory board for the Industrial Design Department of the Korea Advanced Institute of Science and Technology (KAIST). Norman was a founding member of FABBS (formerly the Federation of Behavioral, Psychological, and Cognitive Sciences), the parent organization of Fabbs. * The FABBS Foundation would like to thank Dr. Jonathan Grudin and Dr. Richard W. Pew for nominating Dr. Norman for this honor and for leading the effort to spread the word about his nomination. Would you like to honor Dr. Norman? It’s not too late to have your name added to the list of donors! You can make your donation to Dr. Norman’s In Honor Of… campaign at anytime.